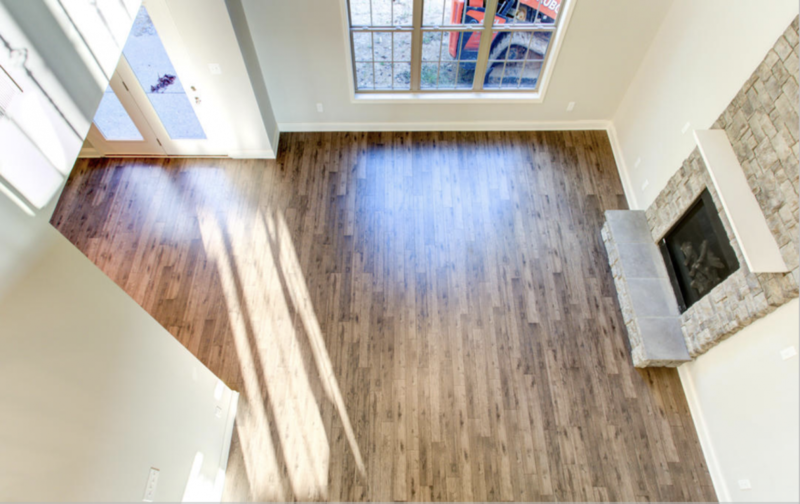 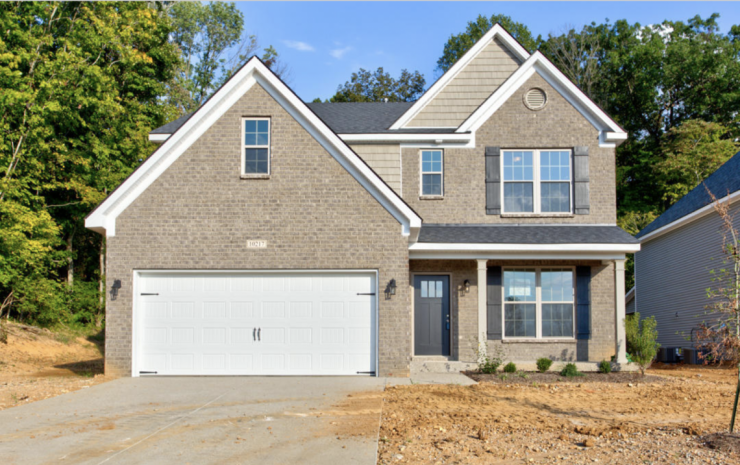 The Montego III is a two story home that offers great square footage, value and a well-functioning layout. The entrance to the home features a covered front porch. 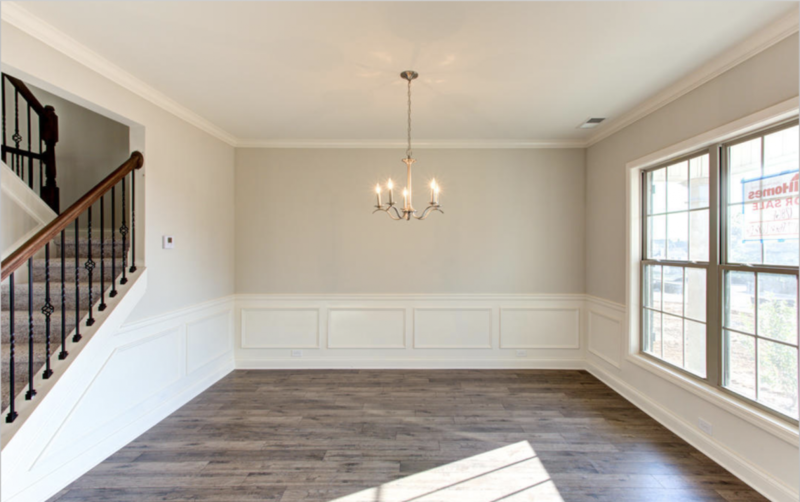 The first floor includes a guest suit with full bath, dining room defined by columns at the entry. 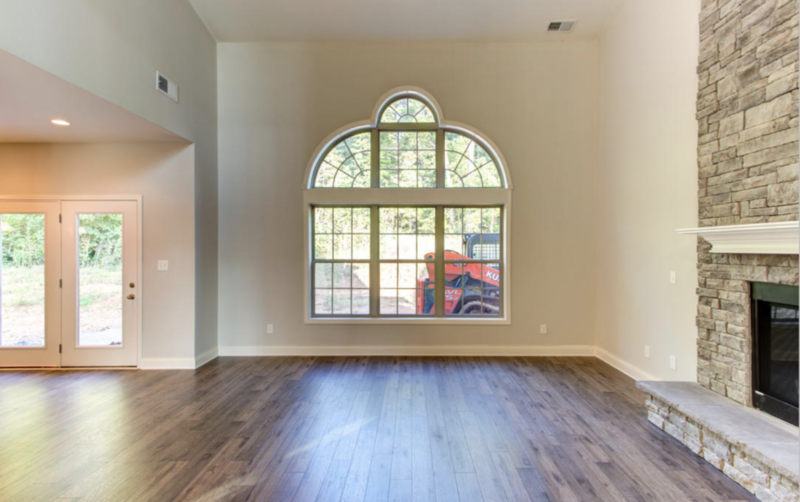 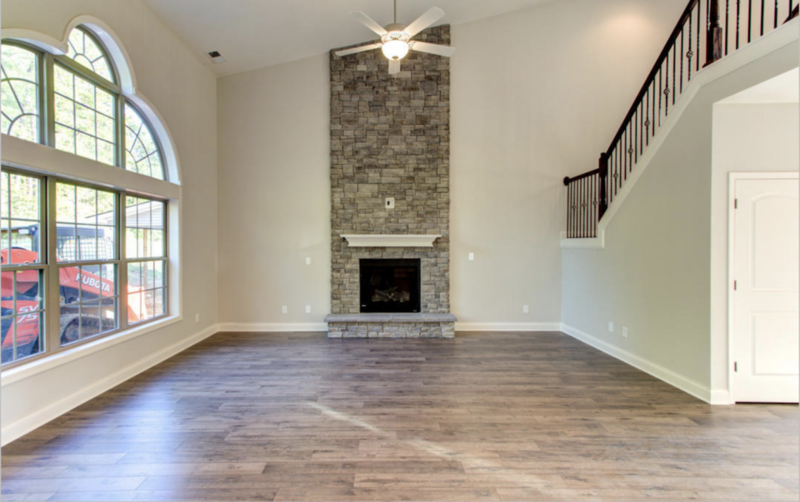 The family room features a vaulted ceiling with direct vent fireplace with dry stacked stone to ceiling and overlooks the rear yard which will have 12′ X 10′ patio. 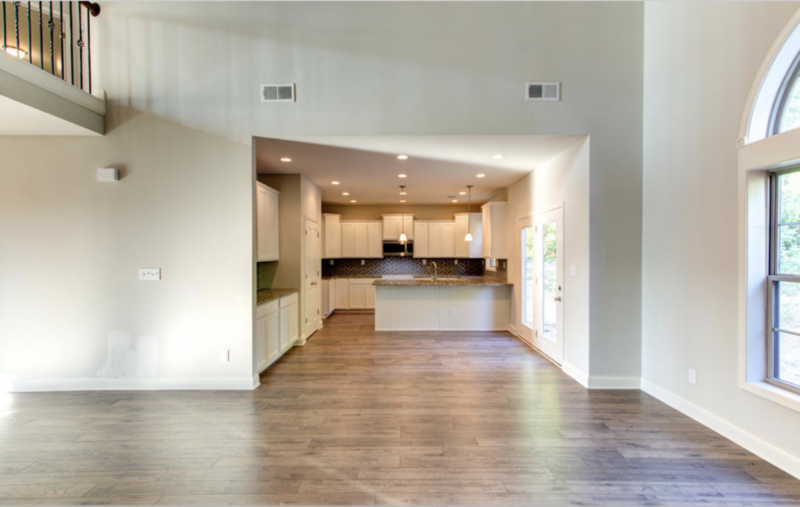 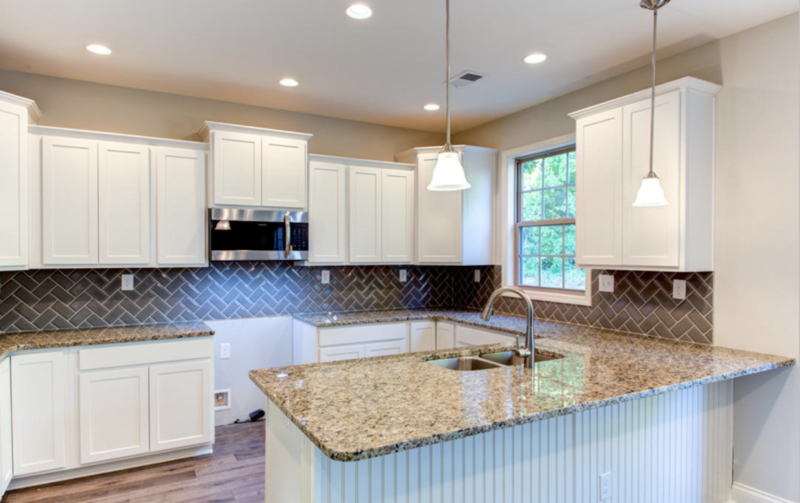 The adjoining breakfast area and kitchen offers a pantry, kitchen peninsula with plenty of cabinet and counter space. 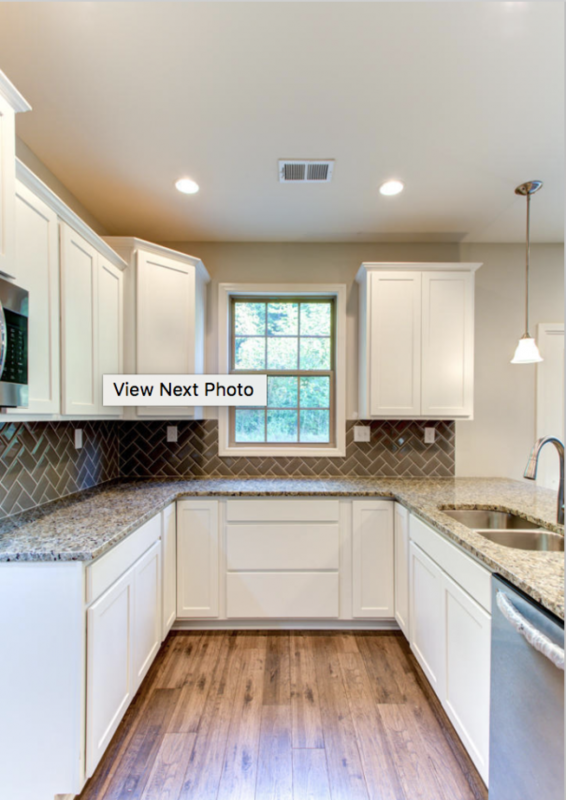 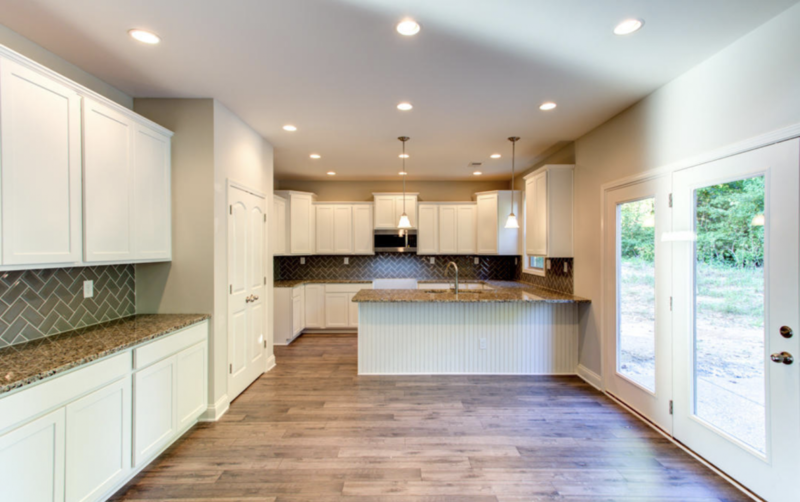 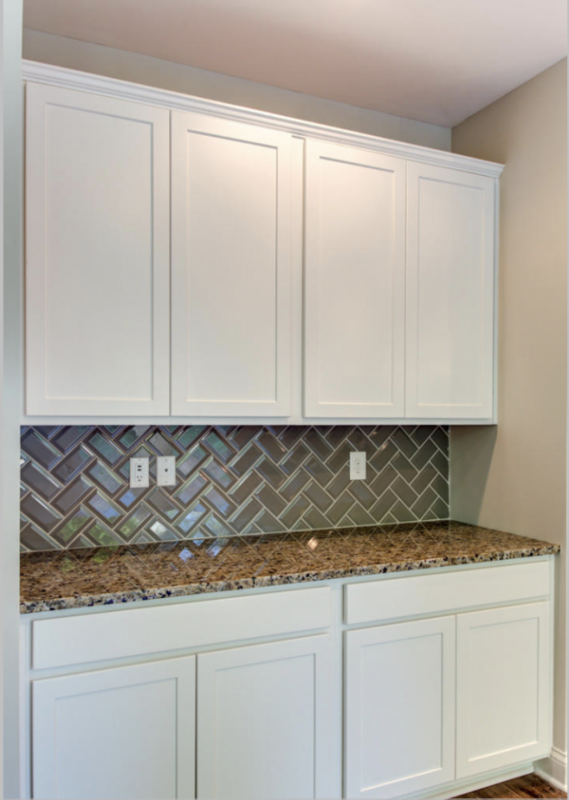 Kitchen cabinets will be white variable height and depth with granite tops, stainless appliance package ”E” with gas range and French door fridge. 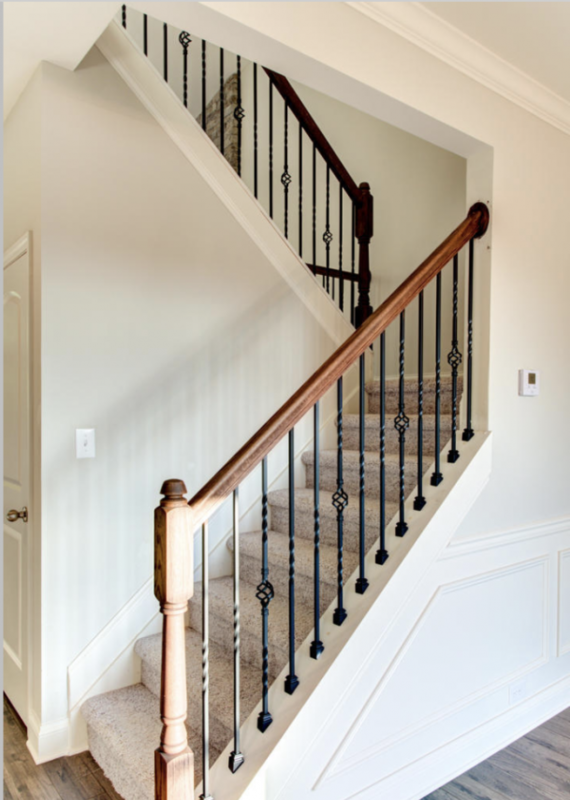 Leading to the second floor there will be wrought iron spindles in the railing. 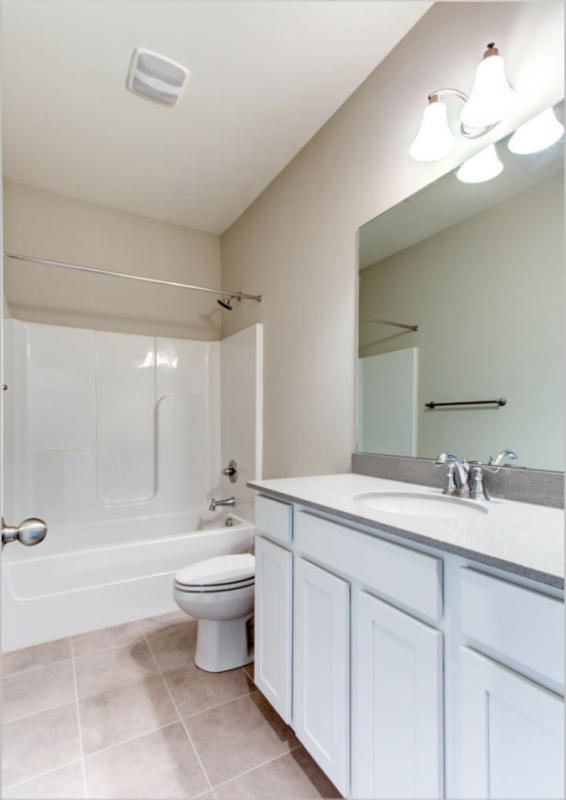 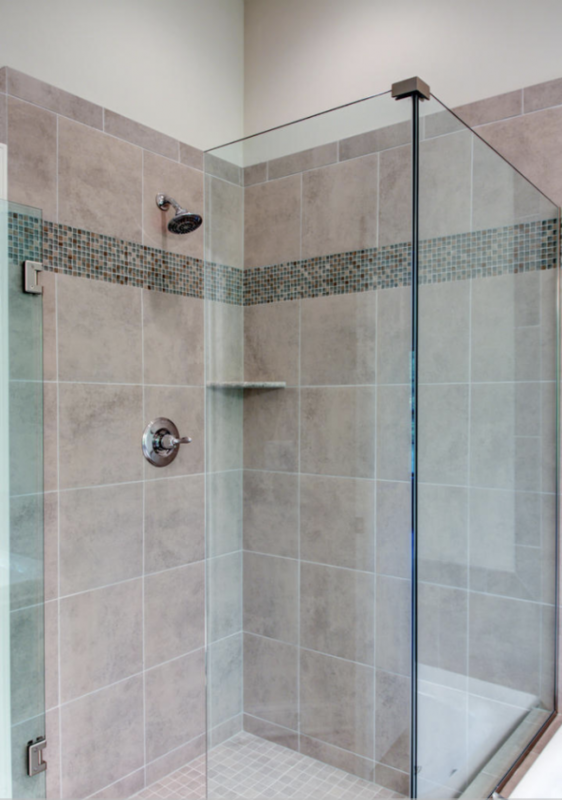 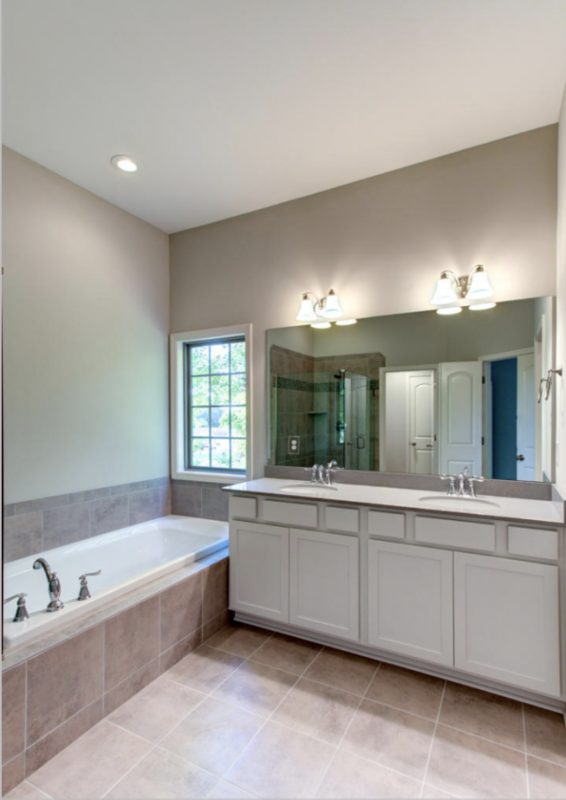 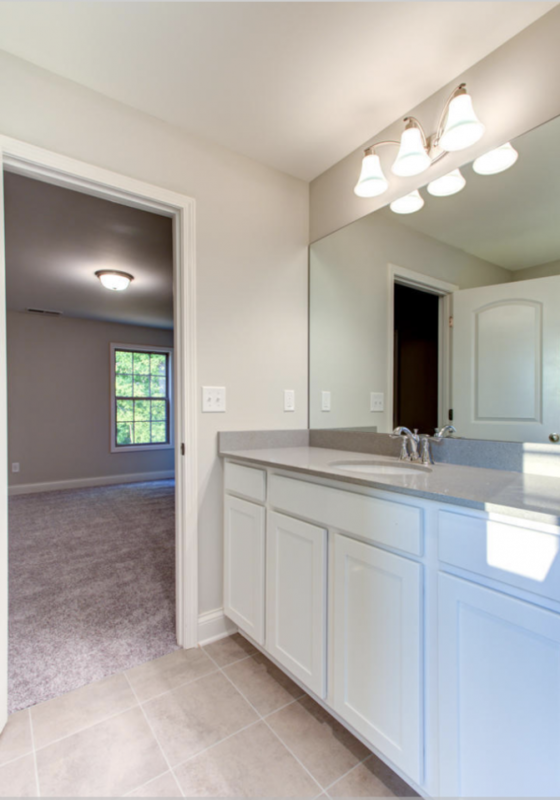 The upgraded Master suite including fully tilled shower with frameless glass door and tiled shelf and 36″ X 72″ drop in garden tub, dual sink vanity with quartz top and linen closet. 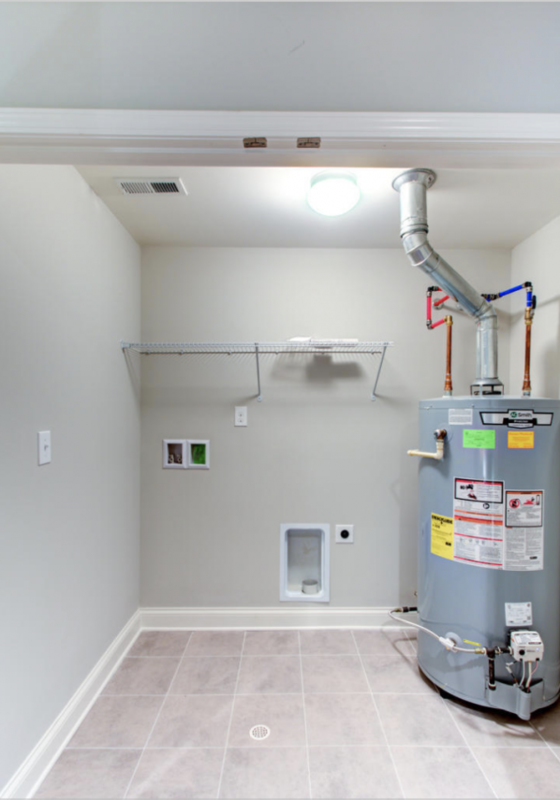 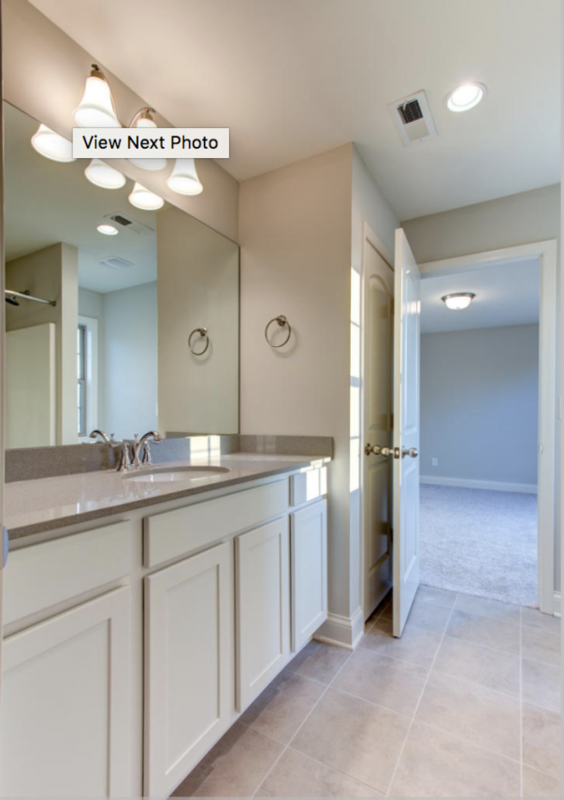 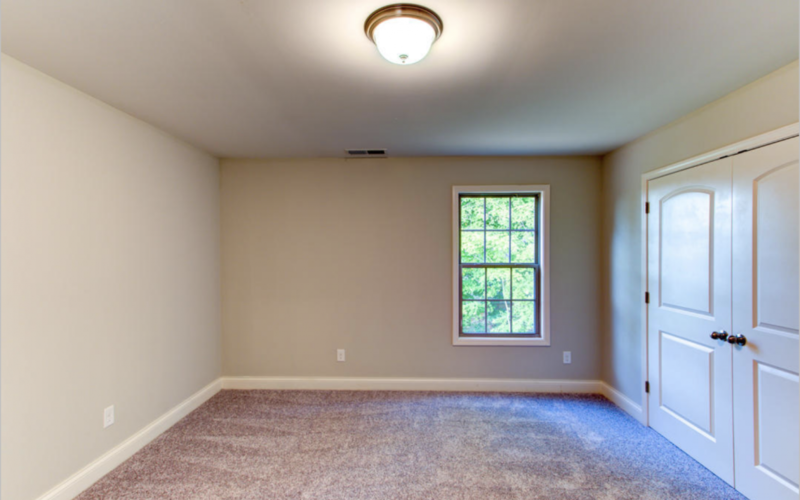 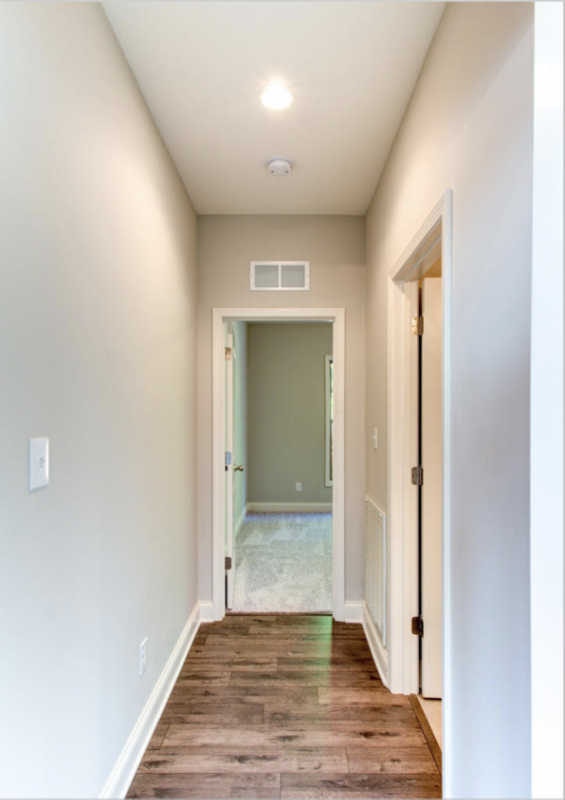 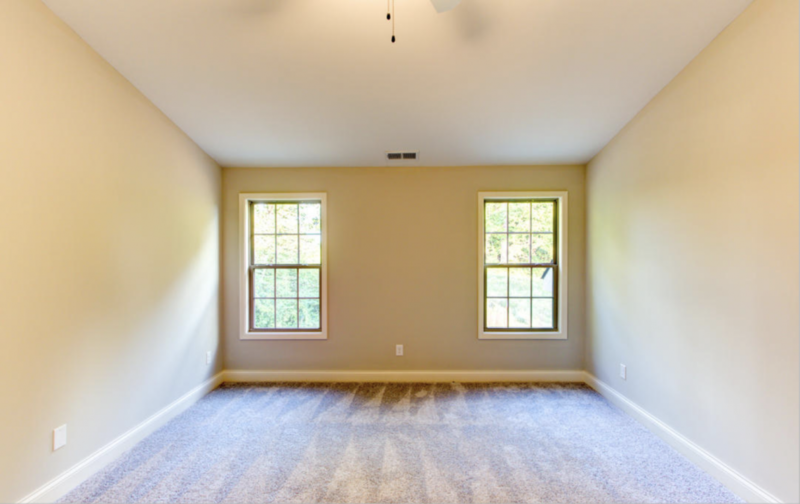 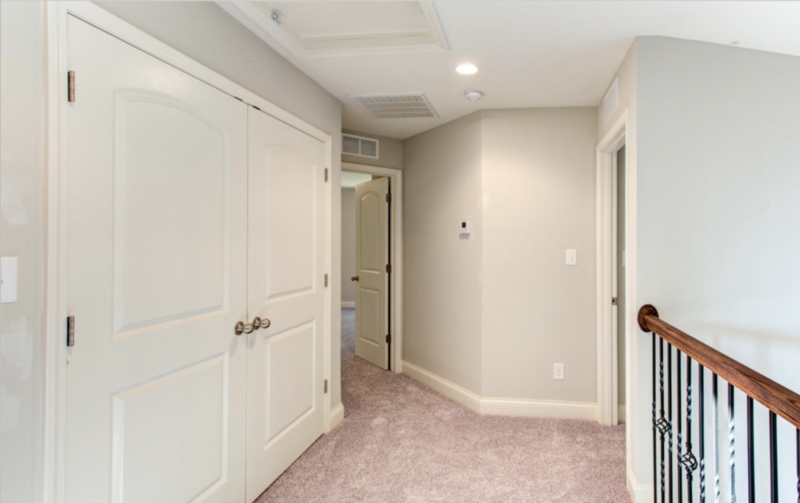 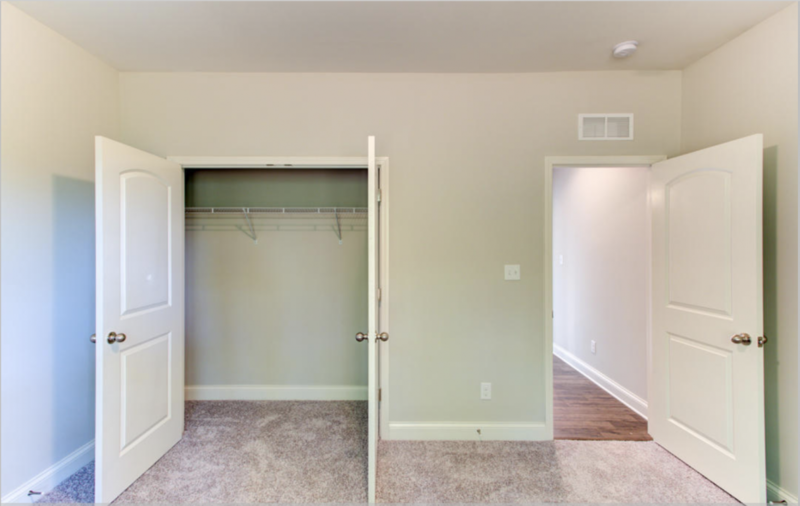 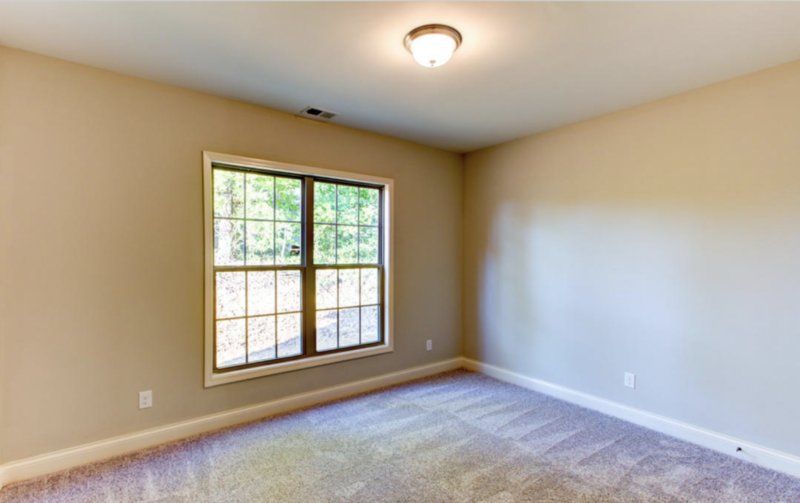 There are two additional bedrooms, which share a Jack-and-Jill bathroom with linen closet and a second floor utility area for added convenience. 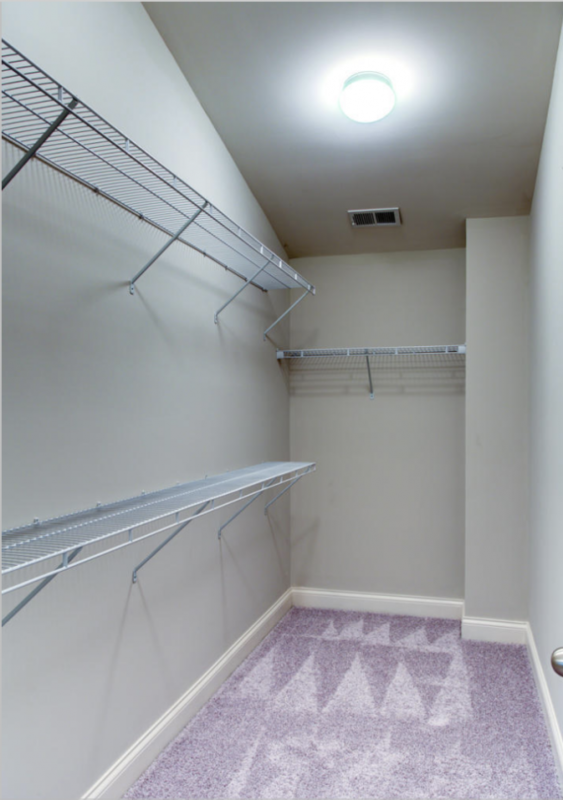 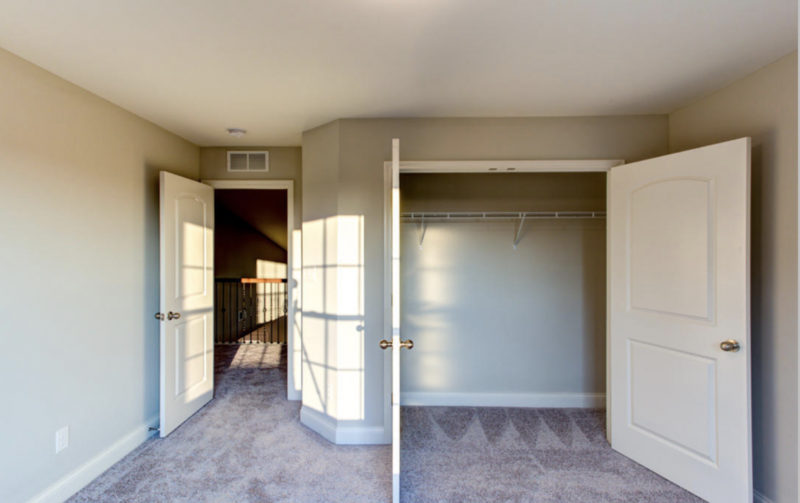 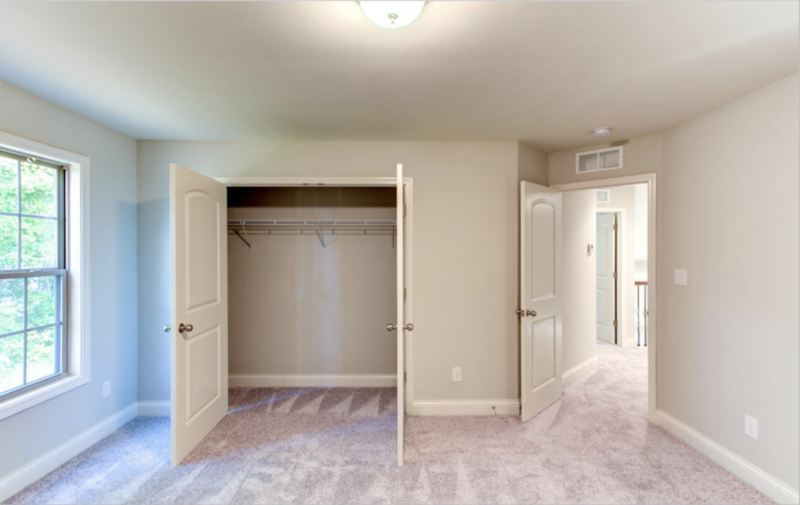 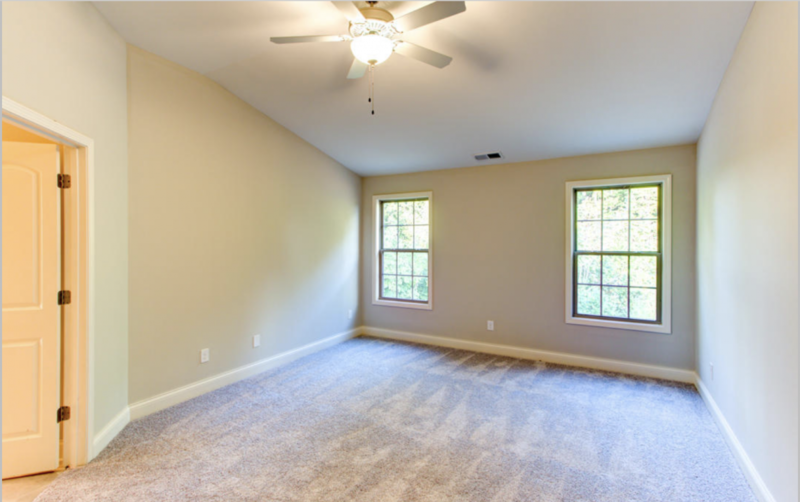 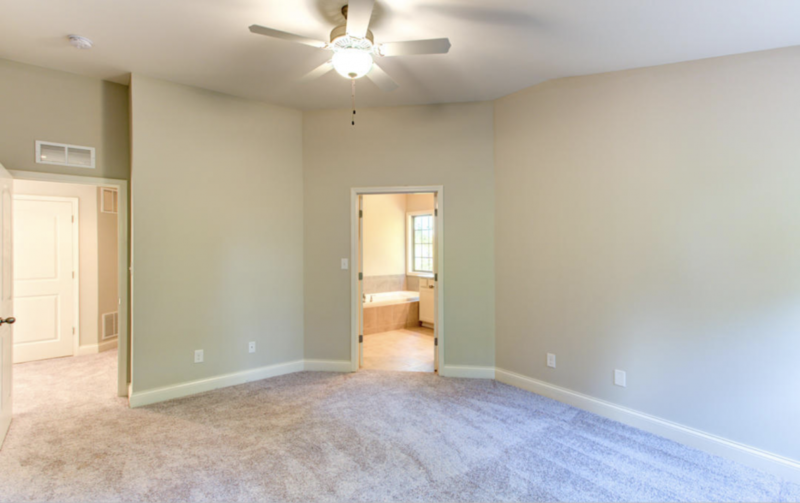 A large unfinished walk-in attic storage area is included off bedroom 2.